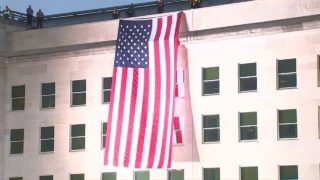 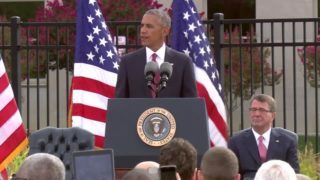 An American flag was unfurled on the west side of the Pentagon on Tuesday (September 11) to mark the 17th anniversary of the September 11th terror attack. 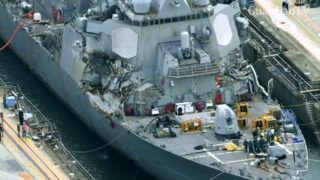 The Pentagon has ordered a sweeping halt of all U.S. Navy operations in the next few days to make sure ships are safe following the crash on the USS John S. McCain, the second such accident in two months. 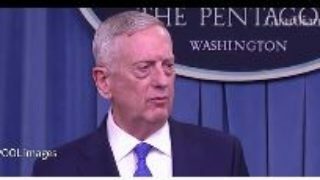 Pentagon chief Jim Mattis delivers a somber caution on North Korea, saying any military attempts to resolve the crisis would be "tragic on an unbelievable scale." 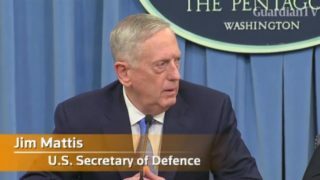 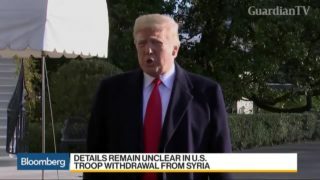 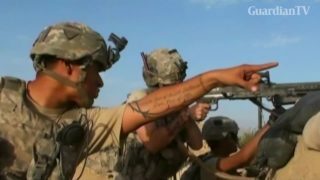 The Pentagon says tensions between the United States and Russia will not "spiral out of control" following last week's U.S. cruise missile strike on a Syrian air base.